First of all, are you ready to read modern fable on 20 friends who traveled away from the world in search of love, life and connection to the them i.e., living the life you love. Proceed only if you can. Else, I don’t have any uncut edition [:P][:D]; so, you have no other option other than showing off your back. The Organizer Trek Version No. 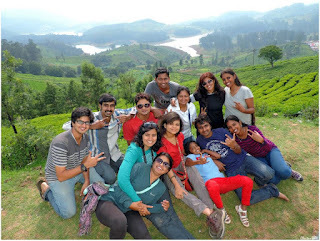 7 is OOTY this time on May 23rd and 24th, 2015. And if at all I need to explain my enthusiasm, it was a compounded sum of the interest put per month I had altogether when I was a BTC member. This is the first time I feel obliged and still content simultaneously. These are very rare expressions and feelings one can experience that you take a responsibility ( that ONE more responsibility ) and instead of feeling, how hard it can be or how better we perform, we think that we should just GO with the flow. Yeah, this is my first official trek as a member of BTCs ever growing Organizer community. My SOUL feeling at that moment is like AWESOME when I have met all the organizers at a place. 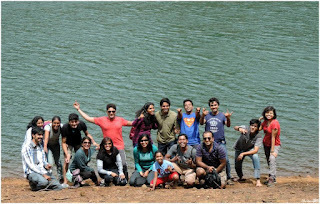 This is a family and this is all about getting into the groove that I am one step closer to nature, trekking and expediting it towards an adventurous journey. From a member to an organizer, the ONLY thing that deserves an attention and that can be explained by “WITH MORE POWER COMES MORE RESPONSIBILITY”. 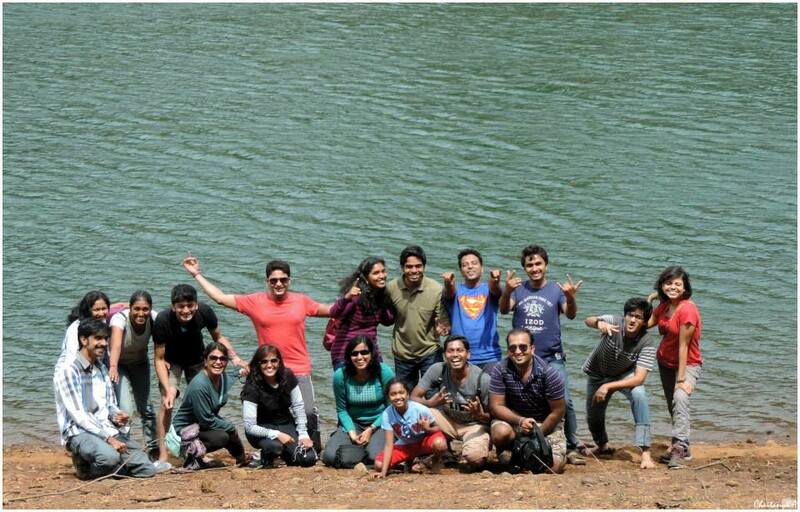 The trek as usual started with our meetup which happened to be BTCs ALWAYS entry point, Shantala Silks. We were asked to meet by 10 30 PM and were about to aboard into the mini bus. We had some good amount of time to kill and this let me meet all the new faces in the Organizers team. And then there was Piyush with the HARLEY, came to just have the Kheer made by my neighboring aunty (Can’t believe he had come just to have kheer) and the newly married guy, Channa. And as the legacy goes, Channa has to return back to home as he is married and that’s what married men do [:D]. I know he wanted to come along with us, but as he cannot post an FB status (which cannot/shouldn’t be mentioned here), he definitely was not making it ( NO, NOT THIS TIME). There were lots of HI’s from my side and as I observed the mischievous Sreemoyee, the all time PJ king, Viru (who had lost his form after Ritu’s incident [:P]), the DUMB charades couple, Sri and Vikash, the kung-fu Sush, the one and only Sonali, the lill girl, Vaishanavi and the Rajalakshmi, who got help from us in repairing her tv the previous day [:D], the stylisth star, Subrata, the classy Monisha, Hiren the kiddoo [:P], and in all these, there was ONE main person missing, our Organizer, Gaurav. He was the last to arrive and then we waited and waited until the bus arrival post midnight. We waited for the mini bus to arrive and as the time had come, we ran towards it to catch hold of window seats on 23rd May, 2015. We had all the lovely melodies take their time in filling up our minds until everyone slept ( I am unsure about it, but I guess Subrata didn’t sleep at all.. Include the driver too [:P]). And whoever were half asleep ( like ME ) were really scared in first place as the driver said he won’t have food during the travel or else he will fall asleep [:O].. ( You got to be kidding me )… So, now you know why I took the DJ section and played all the songs. Our bus reached Bandipur forest area before 5 AM and had to wait until the guards allowed us and as we started our journey through the forest, there starts the glimpse of the wonders of living in this world. Few peacocks to start off, a deer and slowly a herd of deers, humongous elephants, our ancestral monkeys [:P]. Every one of us have stuck our heads out to catch glimpse of all these animals just like the lill girl in our trip, Vaishnavi. 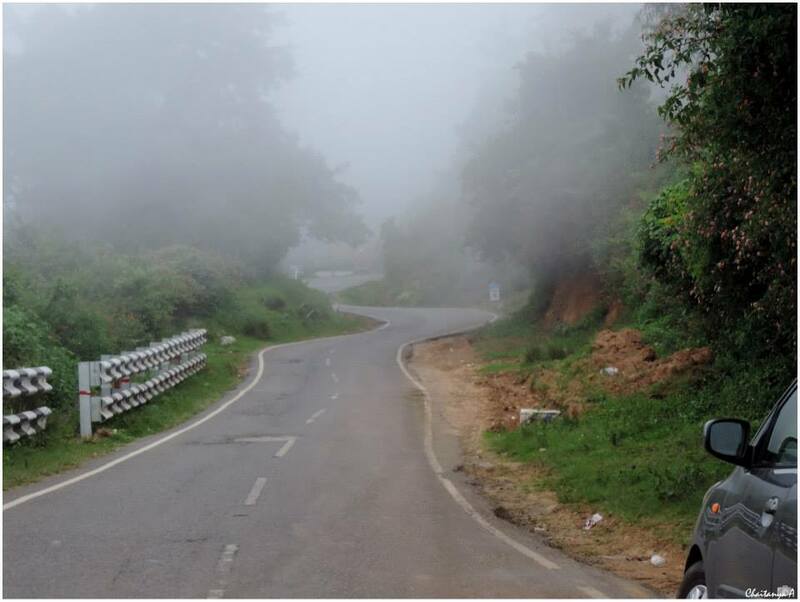 We very soon approached the 36th hairpin bend to start off to reach our Mountain view resort located at 9th hairpin bend. 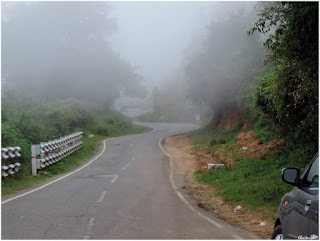 We reached the resort by 8 AM and Gaurav soon allotted our rooms to freshen up and we headed towards a local hotel to have idlis, ooty special idli kinda stuff and paranthas followed by hot beverages. Abhi shake and myself had something extraordinary. Milk + Boost made with jaggery. It’s a complete disaster for me. I cant get much better in describing my feelings here[:D][:P]. We very soon headed to have the toy train ride for 12 15 PM. The queue was really worth mentioning here. It was like Bangalore traffic jam but filled with humans. The day was hotter just as it is in Bangalore and I could see a white foreigner turning from funny pink to angry bird red during the time we were waiting, standing in the queue. The time we spent there, it brought us more close (as we have to stand closer so that none takes our position ) and there it went; we were shown a BOOKINGS CLOSED board saying that the tickets were over and the next ride is at 1 pm. On much thought, we finally gave up the thought of toy train ride and went to Avalanche. The avalanche lake was formed cause of landslides that happened in the 19th century. 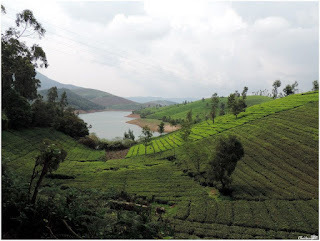 It is an amazingly serene place in entire Ooty. As we got down the bus, we happen to walk through the short stretch of woods which happened to open up into the beautiful landscape covered by dense forest cover on all the sides as long as the bare eyes can see and with a little to ponder around, we could see the beautiful lake. As all of us headed towards the lake, I could see Abhi shake and Vikash go, head at right angles and get into a small stream of water with stony bedding that joins the actual lake. Very soon, I went there too and my first expression was WTH :D. It was freezing cold water. After few steps, I was unable to feel my feet. But then, its all fun and part of the excitement that’s catching up. I also got Gaurav’s bro’s go pro video camera and filmed the entire stupidness during our walk. We finally reached everyone at the bank of the lake and very soon, poses started to pour down and hence the pictures. We slowly took stones and pelted them down into the lake. The stupidity was just rising and within moments, we were all throwing big rocks into the lake. You know how infectious stupidity could be, right ?? After a while, everyone of us, except Rajalakshmi mam (She has to be that perfect woman for her daughter to follow), threw down the stones. Whatever be the case, we didn’t stop being stupid for next half an hour. We were said that the localities are harsh in a way that we cannot enter into the city during the evening hours. So we had to rush to watch the Emerald, which is the other side of the Avalanche. On our way back to the bus, I could see Ritu catch hold of the tree (papa tree :P) and swing by as Sri captures her. All this excitement slowed down a bit by the time we came to know they are not allowing us to enter to the Emerald area. Realizing that we had no time, we anyways rushed to our hotel. We reached the place on time and soon got refreshed & re-dressed. We got hot beverages served and we munched all the crunchy stuff we have brought. After refreshing, we then had a very deep discussion round. It lasted for around 4 hours (We people, over there, get damn damn serious :P :P). We discussed various new propositions and re-evaluated the policies and also checked if we could revise few. As we were getting late to dinner, we had headed out to the room where some delicious Manchuria, rotis, rice, dal, curd, cabbage curry was served. We had tummy full of food. That’s it full-stop. Not yet. Our Sonali started slicing the mangoes and everyone started eating that too. Bhukkad batch started eating. And guys, please stop teasing Sree as bhukkad. I can clearly see what amount of food you guys have eaten (Not including me as I ate 7 rotis and rice + dal + curd :P :D :D; so, I didn’t eat mangoes). We soon headed to our rooms and slept for the next day trek into the forest which was scheduled to start at 6 AM. Kuku kuuuu kuuuuu .. It was 6 AM and everyone got ready on time ;) We carried bread & jam, biscuits etc which were bought the previous day by Chaitanya as fuel for us until we reach our hotel back to have the breakfast. We were escorted by a guard to show the trail. He took us through the tea plantations. And as we ascended the hill, we could always see far off greenery in the valleys to our right and the humongous mountains taking off where the meadows ended. The view was mesmerizing. We kept looking to find some traces of life here and there as if a mars rover mission expected life on mars. In the meanwhile, the sharpest of the eyes, Chaitanya spotted one wild bison, they became two and three in number as we focused on that far off landscape where they were spotted grazing. Lots of snaps with lots of shades and we reached the edge of the mountain. We were jam packed with dense forests over the hills far off around the place we were at. We could see a very minute water stream flowing through the mountains; it did seem like a waterfall. 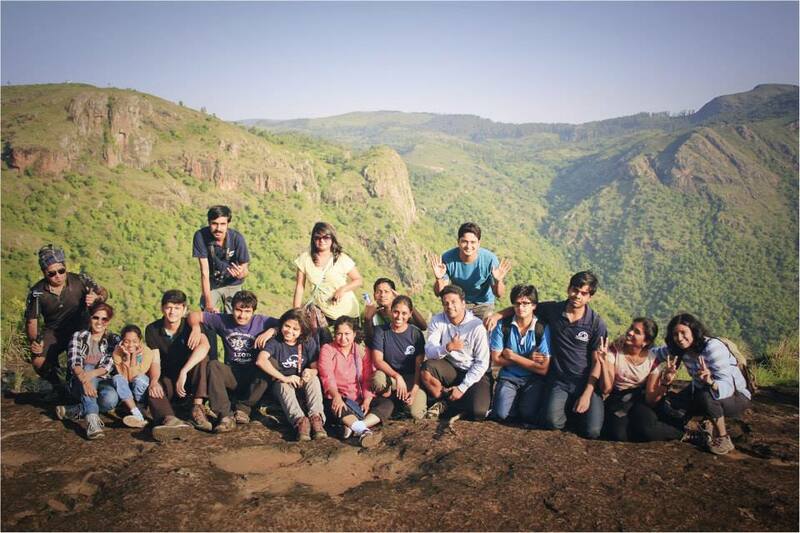 Our joy escalated as we reached the tip of the cliff. You must be at that point to know what I say the way I say. Ooty is a heavenly bliss to start off with. It has all the nature’s abundant set of scenic beauties right from the dense forests, the very rare species of birds, trees to the climatic variations from bright yellow to blue and then to a mixture of red, pink and orange; what not, Ooty is a marvelous hill station and that is one of the reasons you find a toy train ride that passes through all these marvels that’s in store for us. We very soon descended the hill and headed towards that very waterfall we saw from the hill. The entire trek stretch was mudded, grilled with the wiring possibly to provide a decent electric shock but I guess they forgot to switch on the supply. Within a while of all these thoughts, we finally reached base of the waterfall. We finally encroached upon a stone close to the waterfall and started the next dosage of snaps. We slowly slide ourselves to the other end of the water fall where we finally got some time to have bread, biscuits along with the jam. This was the time where everyone came across a thunderstorm that hit the place as I fell down in the stream (luckily, it wasn’t deep) and was finally able to somehow cope up to that fall. We then saw Monica playing on the other end at another small waterfall. Why should girls have all the fun ?? By the end of the play, everyone got drenched in the ice cold water. How cold .. ?? Oh damn cold it was..  It was the best part of our trip that we had lost the bounds for a while and its only then your fun time begins [;-)]. 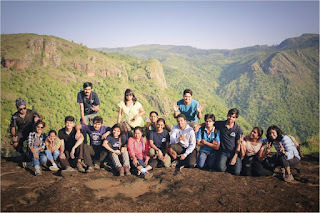 We then headed back to our resort covering the resplendent nature that we have come across that day and the trek which lasted ~ about 8 kms had finally come to an end. We had idlis and ONE vada each served by the resort and it was 11 AM as we headed back to Bangalore. But how do we reach Bangalore with a mini bus that lost its glamour. Yes exactly, the glamour. There was no lighting in the bus for it faced sever battery/ignition problems; so badly that, our bus got halted near kengeri at around 8 PM. En route till kengeri, we had two pit stops; once to have our lunch at around 3 PM .. We have bounced in and had the kumbhakarna food stuff. Even the lill girl Vaishnavi had one plate full of south Indian thali, an ice cream, a parantha. Man, our tummies were full. Then again, we had to push start our bus. This is the time which Viru and Ritu will remember for years to come. Viru hit Sri’s foot and was about to fall down and finally got hold of my body as support to get up regaining his control. I don’t know how this can even become a PJ in first place. Viru was explaining the same stuff and Ritu, as she was sipping water, she boggled up and had finally burst out laughing making her fall to the Viru’s PJ. And that became, the king of all the PJ’s Viru had in store for all of us !! :P The other stop came around snack time at 5 PM where we had lots of ice creams, cold drinks, less tea and bisi vadas. That’s it. We headed back to Bangalore until the bus came to halt. We waited for the cabs to be booked and as they arrive, we finally landed safely at our place by around 10 PM (average time). As most of our time was spent in bus, I would also dedicate a para for this. We had dumb charades where Sri and Vikash are the only participants. They were able to crack Pan’s Labyrynth through their vigorous bonding in the field of mechanics. It was one hell of a showdown [:D]. Then rest of the time with the songs that happened to be Gaurav aka Gobu’s concert. He is a proven talented singer. His “tu hai ki nahi” song was a reprise version for all of us. Even Sree fell for that song. Such was the flow of his emotions into us ( I don’t feel any emotions but I have to take everyone into consideration as a blogger [:P]). Good times prevailed when Sree was made to sleep by Hiren (during onward journey) and Viru (during journey back to Bangalore) [:P]. Gaurav’s ghost story caught lots of attention, so much that, I myself got hell scared as I need to take 4 kms walk to home, alone and dark. I was made to move to the front seat of the bus where Sonali had shared her courage story and gave me some reason to smile. Amidst all these stories, thoughts, singing songs, dumb charades, sleeping, waking up, etc. our fun had to come to an end along with the bus choking itself to death. Aaah .. It has something to do with Bangalore traffic, I guess. And how can I miss Subrata; a big thanks to him as, it was only because of his powerful lighting system that we were able to guide the bus until Kengeri. Viru was culprit in almost all the times there was mischief happening around. He didn’t just stop at being a part of the crime scene, but he indeed was also a reason for its whisper to become a rumor. Yeah, my towel scene was a rumor [:P][:D]. He was responsible for Ritu drinking of water via nostrils [:P] and he was responsible for troubling me in washroom. But sure, it was more fun than anything else (I will have to take my revenge sometime :P :P ). I know I know, I have almost made a novel out of this Ooty’s OT trip. But as a fresher in the OT, I had lots of memories to share and cherish and it is definitely one of the many trips I will ever have with this BTC family. It was the beauty that you have come till this far to read the entire story. I surely have lots to type. As you realize it’s the uncut edition. So long as you are part of this trip, you will enjoy reading as I know everyone felt the same. 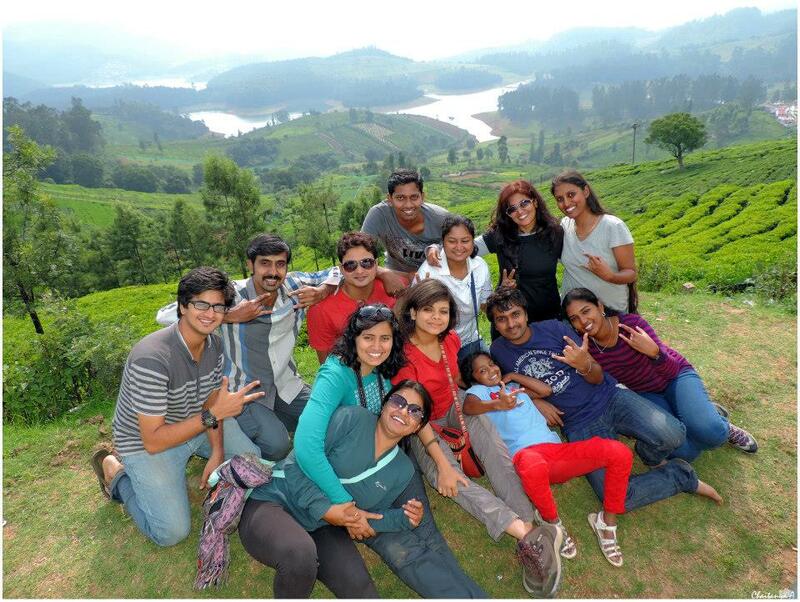 The oOTy( read as OT in Ooty) is a myriad of awesomeness we have come across and I hope this will live on in our hearts for all the time we live. Hats off to nature, hats off to people, hats off life. Stay healthy. Stay fit and keep trekking while rocking. Adios guys.